To celebrate its 80th birthday, Lego - as strong and youthful as ever - has made an interesting video. 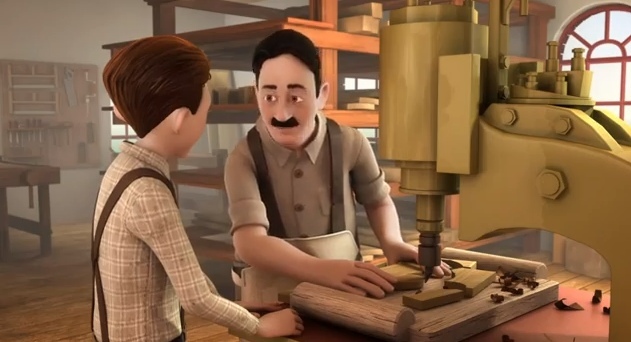 We learn the history of the company, from the beginning of the 20th century with Ole Kirk Christiansen, and the generations that followed that transformed Lego - responsible for so many makers' first contacts with building and creativity - from a small woodworker's shop to the multinational 'King of Bricks' that we all love. Amongst the elements that all Makers need to keep in mind, there is the ability to transform one's ideas into objects, to invest in new technology, and a crazed obsession with products and quality. All this and more is found in the Lego story, from which we can learn perhaps more than we would in an MBA lesson. 17 pleasant minutes of video.